When it comes to films, language has never been a barrier for me and I tend to watch most of them, thanks to English subtitles. This includes Hindi, Telugu, Malayalam or even Korean and Japaneses. These film industries have produced some of the best Rom-Coms and turned out to be blockbusters. In fact the emergence of On-Demand Entertainment platforms has actually given audience the chance to discover beautiful movies that they may have missed out otherwise. One such recent Telugu movie that I discovered in the ZEE5 platform is Geetha Govindam. 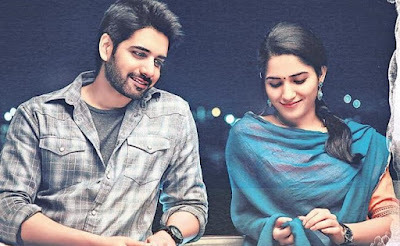 This movie was one of the biggest hits of the Tollywood industry, giving a new lease of life to the Rom-Com genre.Frankly it’s been quite a while that the Rom-Com genre has been handled so well , esp in the Tollywood industry with such a believable, fun storyline and definitely a great choice for a movie date at home.